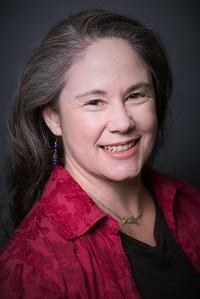 Home › Faculty Directory › Habarth, Janice, Ph.D.
Dr. Janice Habarth is an Assistant Professor working with clinical psychology doctoral students at Palo Alto University. Her research lab, Personality and Social Norms, is engaged with several projects examining predictors and outcomes associated with attitudes about gender and sexual orientation as well as the assessment of gender and sexual minority competencies among healthcare providers. She also contributes to projects examining marginalization and stigma more broadly (e.g., socially constrained bereavement, mental health self-stigma). Dr. Habarth’s Heteronormative Attitudes and Beliefs Scale (2015) has been used across the U.S. and internationally in psychological research targeting heterosexual and sexual minority populations. She also contributed to the development of the Gender Minority Stress and Resilience Scale (Testa, Habarth, Peta, Bockting, & Balsam, 2015), which has been employed across numerous studies to assess social and internalized sources of stress and resilience among trans and gender diverse populations. Dr. Habarth completed a joint Ph.D. in Clinical Psychology and Women's Studies at the University of Michigan (U-M). Her pre-doctoral internship at the University of Michigan's Institute for Human Adjustment involved two half-time outpatient placements (adult and child/family) as well as a year-long fellowship in bereavement. As a graduate student, Dr. Habarth also developed and implemented a first-year writing seminar focusing on students’ written articulation of their own racial, ethnic, gender, and sexual orientation identities. She further applied diversity and identity-related pedagogical interests through multiple semesters of instructing advanced undergraduate and masters students in a women’s studies group facilitation course. Following her work at U-M, Dr. Habarth completed a two-year postdoctoral fellowship in clinical health psychology through Michigan State University's Consortium for Advanced Psychology Training (Flint Area Medical Education). During post-doctoral training, she pursued interdisciplinary clinical work, conducted research on personality and demographic considerations relevant to medical student wellness, and offered invited talks and consultation aimed at enhancing medical faculty and residents' multicultural competence. Since 2000, Dr. Habarth has prioritized multicultural responsiveness in her research, clinical practice, and pedagogical efforts across graduate clinical training, liberal arts, R-1 university, and academic medicine settings. Her primary research focus is the development and dissemination of research on socially normative attitudes about sexual orientation and gender, with a distal aim of enhancing healthcare provider multicultural competencies. She is an active member of the American Association of University Professors, is affiliated with PAU's Center for LGBTQ Evidence-Based Applied Research (CLEAR), and serves as faculty advisor for PAU student groups including the Women's Health Alliance and the Psychological Association for Gender Expression and Sexual Orientation. Habarth, J. (2015). Development of the Heteronormative Attitudes and Beliefs Scale. Psychology & Sexuality, 6(2), 166-188. Testa, R. J., Habarth, J., Peta, J., Balsam, K., & Bockting, W. (2015). Development of the Gender Minority Stress and Resilience Measure. Psychology of Sexual Orientation and Gender Diversity, 2(1), 65-77. Garneau-Fournier, J., Turchik, J., & Habarth, J. (2018). Factors associated with sexual dysfunction symptoms among veterans who have experienced military sexual trauma. International Journal of Sexual Health, 30, 28-41. Habarth, J., Graham-Bermann, S. A., & Bermann, E. A. (2009). Coping in context: Community and natural resources in low-income women’s environments. Environment & Behavior, 41, 205-232. U-M ADVANCE Project (2007). Assessing the climate for sexual minority doctoral students at the University of Michigan.